Maputo — The Mozambican state budget for 2019, presented on Tuesday by the Minister of Economy and Finance, Adriano Maleiane, to the country's parliament, the Assembly of the Republic, envisages a deficit of 90.9 billion meticais (about 1.48 billion US dollars), to be covered largely by foreign grants and soft loans. Total expenditure forecast is 340.4 billion meticais. Of this, 196.6 billion is for running costs. The capital budget accounts for 102.3 billion meticais, while the remaining 41.5 billion is for financial operations. Government revenue for the year, mostly from taxation, is estimated at 236.3 billion meticais. This includes 5.3 billion meticais from the capital gains tax paid on the sale of shares in the Rovuma Basin Area Four liquefied natural gas (LNG) project by the Italian energy company ENI to the American oil and gas giant ExxonMobil. The government can no longer rely on donors to provide direct budget support: that came to an abrupt end in 2016, when the full extent of the hidden loans given illegal guarantees by the previous government, under President Armando Guebuza, became clear. The loans, contracted from European banks by three security related companies, Ematum, Proindicus and MAM, all of which are now effectively bankrupt, amounted to over two billion dollars. When this came to light, all 14 partners who had given at least some of their aid in budget support suspended their disbursements. 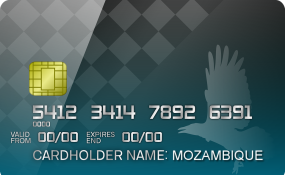 At a conservative estimate, this cost the Mozambican budget over 400 million dollars a year. Nonetheless, foreign grants and soft loans in the form of project aid are still available. The government expects to receive soft loans equivalent to 43.7 billion meticais, and grants of 27.7 billion meticais. The rest of the deficit will be covered by domestic indebtedness - the issuing of 19.4 billion meticais worth of high interest bearing treasury bonds. 66.1 per cent of the 2019 public expenditure (excluding financial operations and debt servicing) is earmarked for the social and economic sectors. As usual, the largest slice of expenditure - 21.5 per cent - goes on education. Health receives 10.6 per cent, agriculture and rural development 11 per cent, roads 6.3 per cent, water supply and other public works, 7.2 per cent, transport and communications 3.6 per cent, social welfare and labour 2.9 per cent, and the legal system 1.6 per cent. Maleiane said there will be strict limits on recruiting staff for the public administration next year. There is enough money in the budget to recruit 12,128 people - 6,413 of these will be teachers, 2,126 will be health workers, and 399 will be agricultural extensionists. For the rest of the public administration, one worker can be recruited for every three who leave (through death, retirement, expulsion or any other cause). The budget puts debt servicing in 2019 at 35 billion meticais (equivalent to 3.4 per cent of GDP). Most of this, 24 billion meticais, services the domestic debt, and is the result of a sharp rise in the interest rate on treasury bonds. The interest rate was 10 per cent in 2015, and is now 26 per cent. 11 billion meticais is earmarked for servicing the foreign debt. This does not include the illicit "hidden" debts run up by the Guebuza government. Maleiane said negotiations will continue with the creditors "seeking to obtain terms and conditions adjusted to the ratio between debt servicing and total revenue". The budget law for 2019 will allow the government to issue loan guarantees for 151.25 billion meticais (2.48 billion dollars). Most of this is to cover a loan of two billion dollars which the National Hydrocarbon Company (ENH) must take out on the international markets to cover its participation in the Rovuma Basin LNG projects. Maleiane said that issuing this guarantee will facilitate the Final Investment Decision by the consortium headed by the US company Anadarko, which intends to produce LNG from Offshore Area One of the Rovuma Basin. Only when the final investment decision is taken, probably in the first half of 2019, can a start be made to building the LNG factories (known as "trains") on the Afungi Peninsula in the northern province of Cabo Delgado. Maleiane assured the Assembly that once the factories were built, the guarantee would expire "since the undertaking then becomes its own guarantee".